Apple prefers to not reveal certain specifications of its products at its launch events as the performance of some of its devices cannot be judged merely by numbers. This is because optimisation plays a key role for the products made by the Cupertino-based company. However, this secrecy usually makes users even more excited about the teardown of Apple products. After the teardown of iPhone 7 Plus, iFixit has now torn into the hardware of Apple Watch Series 2 and revealed that the smartwatch packs a battery capacity of 273mAh as compared to 205mAh offering on its predecessor. 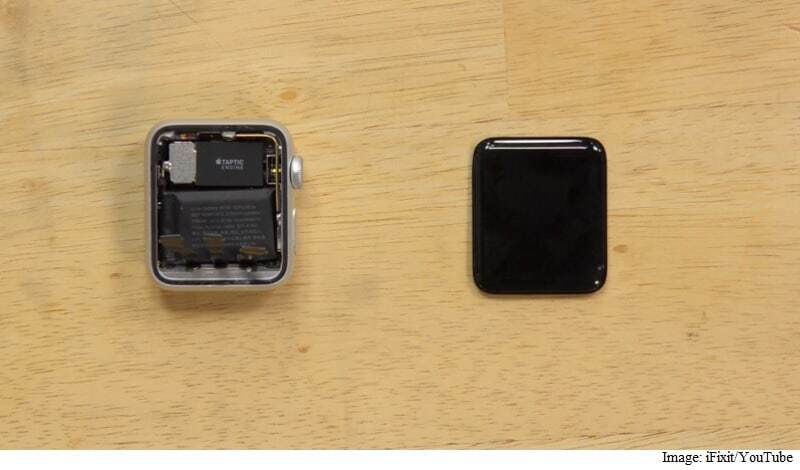 Apple seems to have addressed the biggest qualm anyone had about the first generation Apple Watch. However, comparing the battery life of the two generations based on capacity might not be fair, as the new watch from Apple does pack extra juice with it. It is hard to say, whether the overall battery life of the watch will be able to last longer as the new version of the watch comes with GPS as well as a brighter display. The teardown further revealed that there are no drastically unique components that have been added to the Apple Watch Series 2 but to achieve water resistance up to 50 metres, the components have been glued together in a very compact manner.